Gamakatsu Crappie Hook Assortment - size 8, 5 Colors. 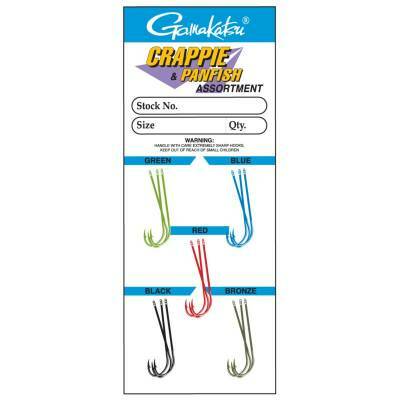 Crappie and panfish assortment pack of hooks. 15 hooks in five different colors. Assorted sizes available.